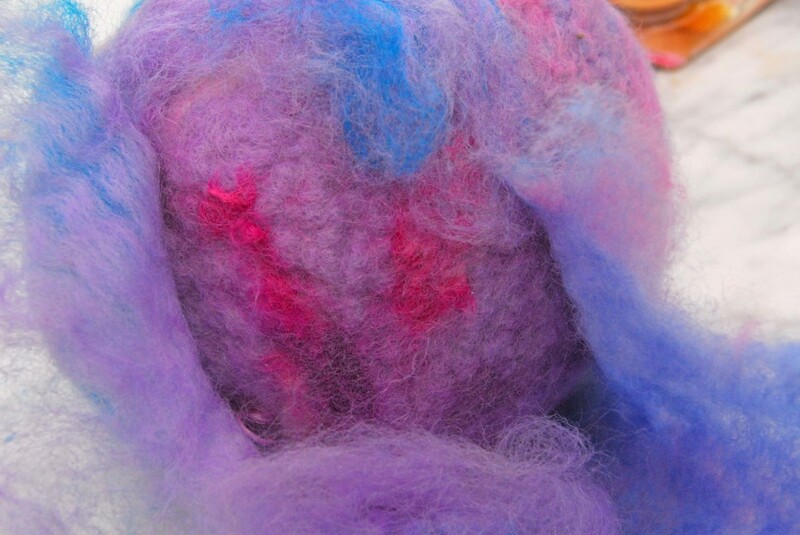 Wet Felting and What to Do When Things Go Wrong? 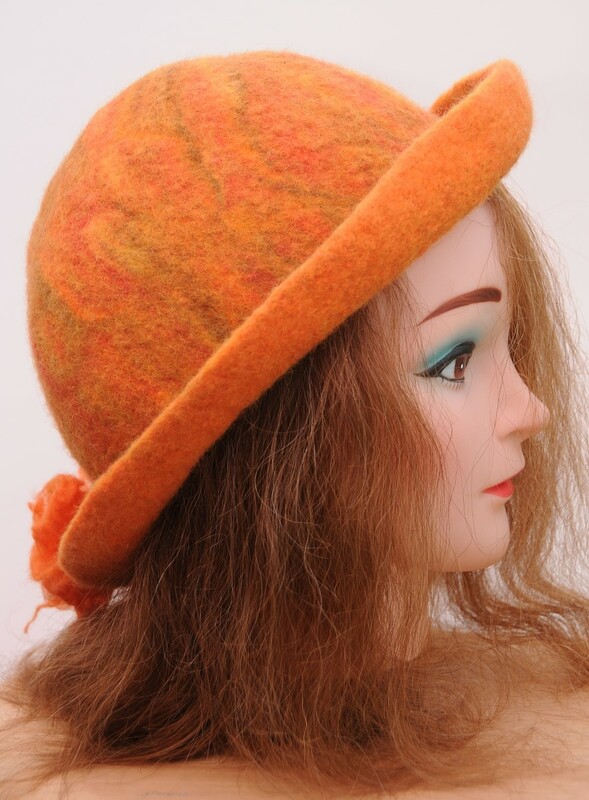 Sally Gulbrandsen Feltmaker: Her tutorials & techniques are as individual as she is — unique, experimental and always interesting. 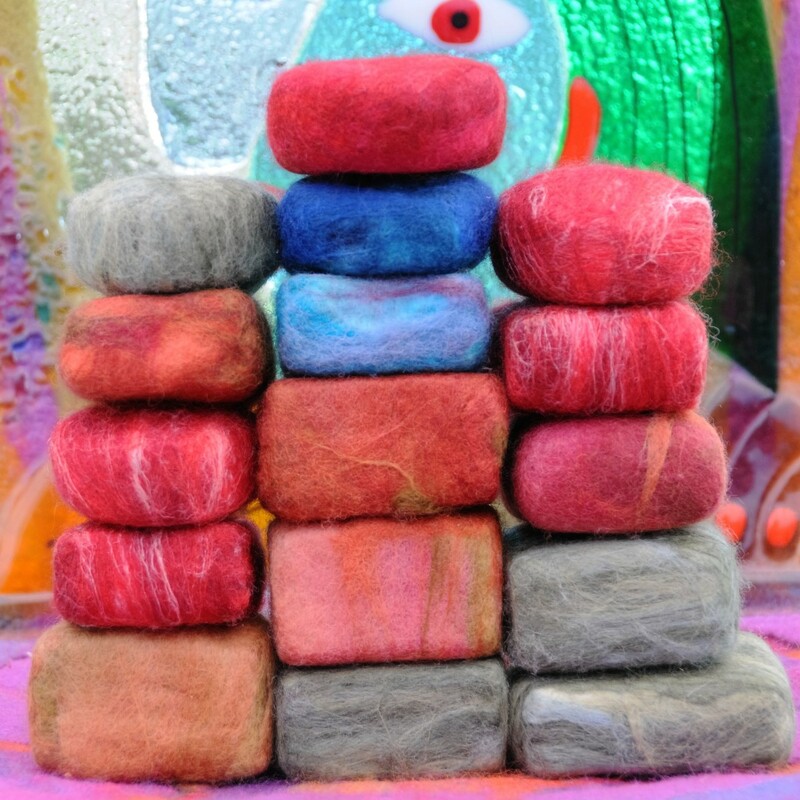 Failures can and do occur but more so when you are new to felting. 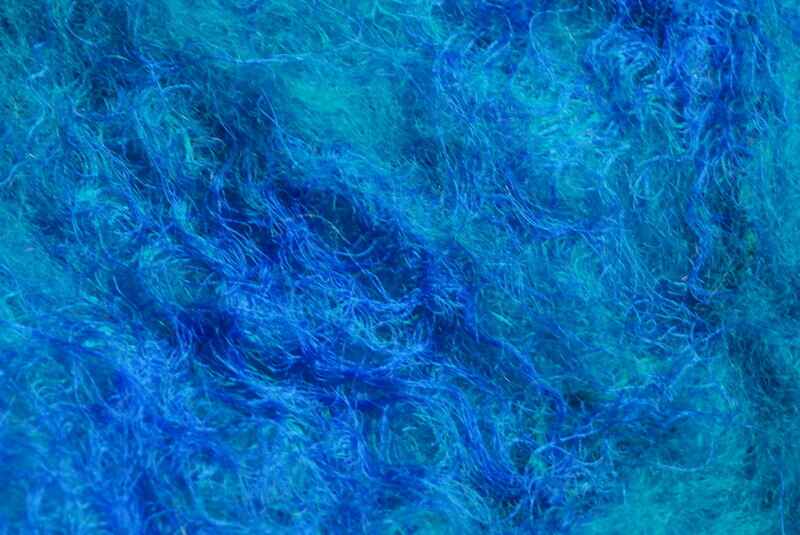 Understanding why these failures occur is the first step towards a better understanding of how the process of felting works. Correcting errors can be time-consuming. It is far easier to follow some basic felting rules and get it right the first time! Most projects can be salvaged by applying some extra fibre to any thin spots. Do this with a barbed needle felting tool such as the Soledi which I prefer as it has a wooden handle and comes with several additional needles which can be safely tucked safely away inside the handle. I also find that wooden handled felting tools are more comfortable to work with than the ones which have plastic handles. I have used the Bird Pod I made in my first ever Hub to show how a project can be salvaged when things don't go quite to plan. Many projects can be re-worked with just a little effort. In this example, I cover the thin spots with fibres which I took from another failed project. The end result is a much stronger and more pleasing Bird Pod. Recycling or reworking a project can sometimes be a bit of a challenge but these images below show that it can be done quite simply. Because of this, I was able to peel a section off and re-use them to 'tart up' the 'failed' project. 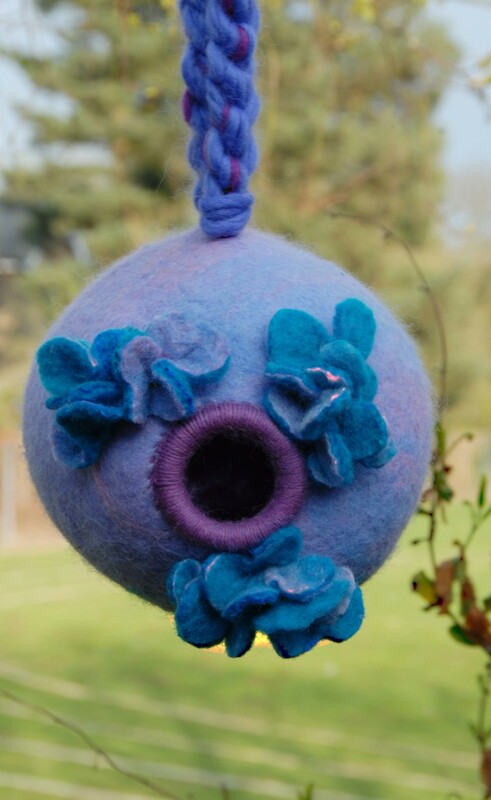 I needle felted the fibres onto the less than satisfactory Bird Pod using a barbed needle felting tool. Once I had covered the thin spots, I inserted a 'Gertie Ball' into the cavity of the Pod. I then blew the ball up using the plastic straw which came with the ball, sealed it with the little plug and wet the wool with hot soapy water. I then put the Project in the tumble dryer where the felting process was completed. 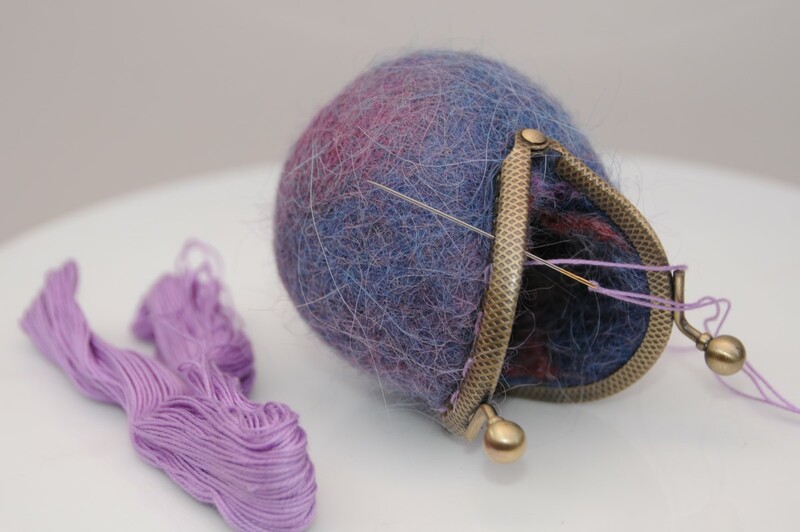 If you do not have a Tumble Dryer, simply insert a Gertie Ball into the cavity of the Pod and rub or bounce the Project on a table or on the floor until the fibres have completely fused together. Reduce the amount of air in the ball several times during the process so that the fibres shrink back against the ball giving you the required Bird Pod size. A good source for Merino Wool to use for this project is Amazon or E-Bay. 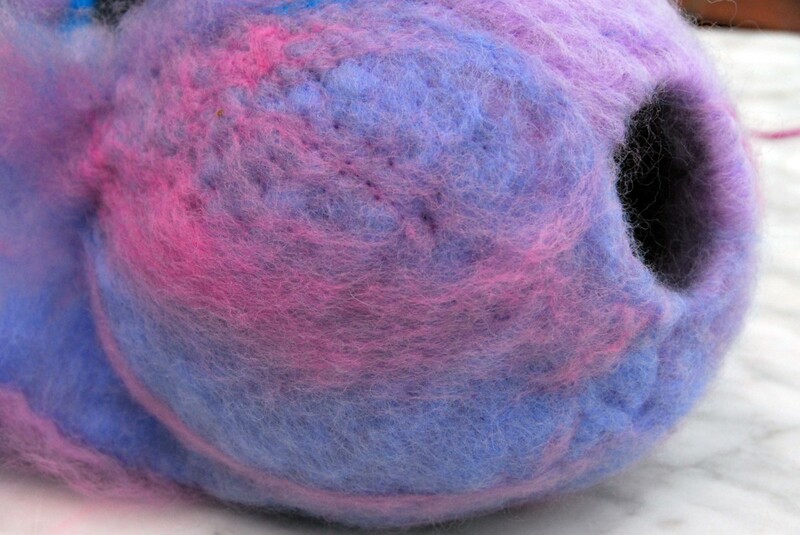 I generally buy Merino Wool Roving as it felts easily and is perfect for Wet Felting. Please be very careful when needle felting! The needles are incredibly sharp. This image shows how I peeled a layer of wool from a previous 'failed' Hat Project. I wrapped these fibres over the Bird Pod before needle felting them to the Pod. 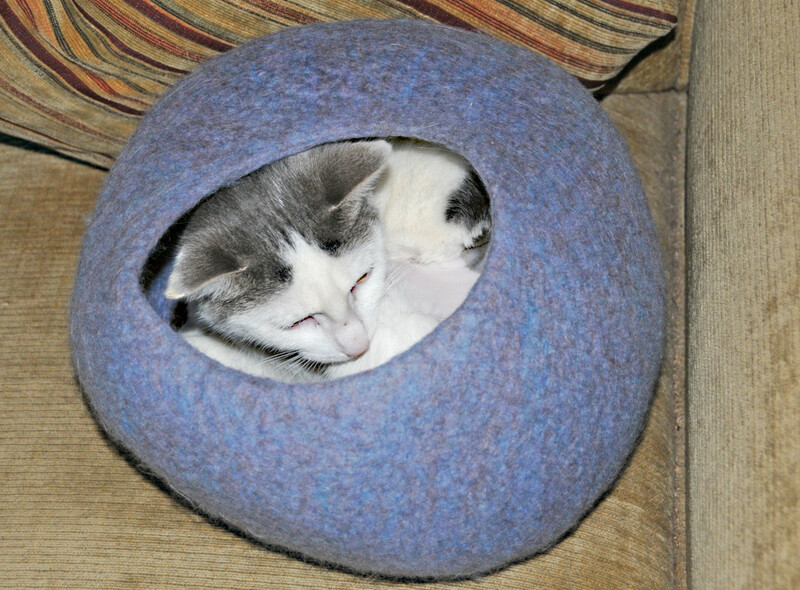 First I first inserted a small block of needle felting foam inside the pod so that I could not felt the walls of the Pod together. 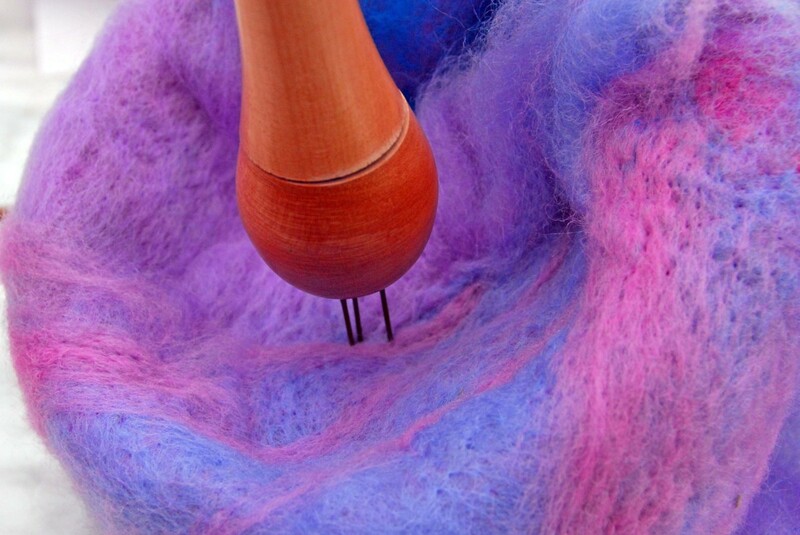 This image shows the Fibres being needle felted to the Pod while the needle felting block is still inside the Pod. The small piece of foam keeps the walls of the Pod separate from one another. 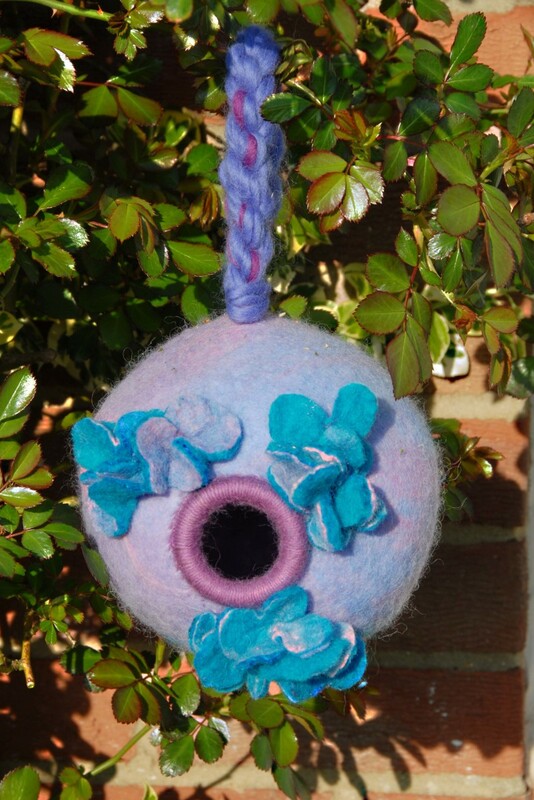 This image shows the Bird Pod which has now been completely felted with the Gertie Ball still inside the pod. 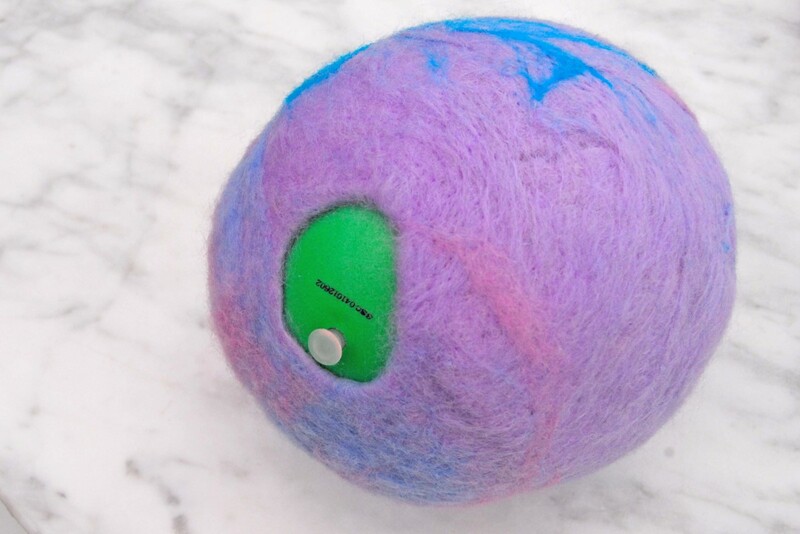 Once the felting process has been completed inside the tumble dryer you can release the air inside the ball and remove the ball from the pod. 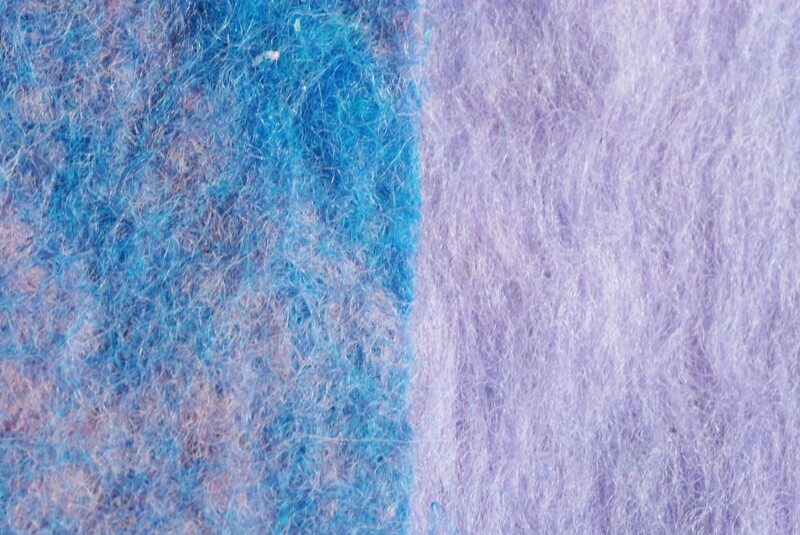 Choosing the correct type of wool for felting is very important when you wet felt wool. I use Merino Wool Tops or Roving for most of my projects. Always lay your wool at 90 degrees to the previous layer when laying down your fibres; 5-6 thin layers are always preferable to using 2-3 thick layers. Check your layers for thin spots before you add the hot soapy water. Inspect them with a small hand-held torch to check for any thin spots. Use curtain netting or a screen to cover your work before wetting it with hot soapy water. 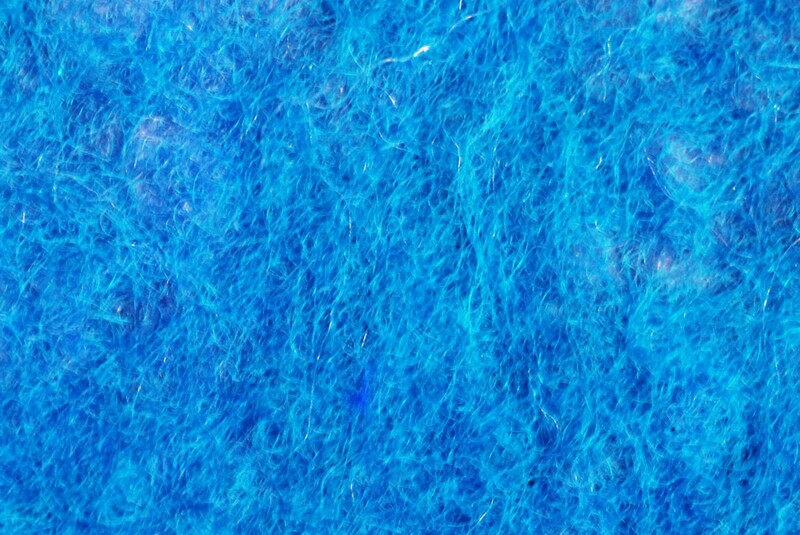 A sponge can be used to dampen down the fibres. Little is always better than too much. There will be less chance of the fibres floating away if you do it this way! You can use any kind of soap but try using Natural soap, such as Olive Oil soap which should be grated and dissolved in the hot water. It produces far less foam than dish washing liquid. It is also much kinder to the hands. Only use a small quantity of soap. Using too much can sometimes hinder the felting process. You only need just enough water to wet the fibres. Any excess should always be dabbed up with a dry towel. Keep your water as hot as possible though there are times when you may wish to slow down the process just a little, especially whilst working on something intricate. In this case, try using cool water and only add hot water when you are ready to hurry the process up. How will you know when your fibres have been sufficiently Fulled? Simply said, the wool will no longer stretch when you pull on it. Use the ‘pinch test’. Pinch your thumb and index finger into your felt and if you can pull two layers apart, then it has not been sufficiently felted. You will need to roll it some more! When the Fulling process has been completed, rinse the Project with cold water. Any soap left in the wool can make the wool fibres brittle over time. The project may even disintegrate over time so rinse them carefully in cold water. You can add some vinegar to the rinse water. Let the project dry completely before adding any decoration. Wool has a very good memory and will hold whatever shape you dry it in. A full 24 hours is usually needed for the wool to dry completely. Occasionally I put my wet fibres into the microwave and blast them for around 30 – 60 seconds to help speed up the process. The Tumble Dryer– one has less control over the texture of the felt as you can end up with a firmer piece of felt if you leave it too long. The dryer does take out a lot of the repetitive rolling action and save your arms and neck from aching. A handheld Palm Sander can be used to effectively vibrate the fibres under a large sheet of plastic. A Vintage Washboard is a great tool for fulling wool. Jiffy Bags for felting small projects inside. How can I join two pieces of wet felted fabric together? I think it really depends on whether the fabric you intend joining has been fully felted or not! Please refer to this felted tutorial where I keep the seam area dry to create a seamless join - https://feltmagnet.com/textiles-sewing/How-to-Wet-... when the garment has been partially felted elsewhere. Pre-felt can also be joined using a large zig-zag stitch using a sewing machine. Keep the cut pieces aligned so that the seam lays flat. The process of wet felting can then be continued to create a seamless join if this is your intention! I would probably do this in the tumble dryer but watch it very carefully to make sure that it does not shrink too much. Embroidery stitches can also be used to join fully felted pieces together/ I would join them in the same way but embroider over the join using wool to conceal the zig-zag stitches. Thank you for your question, you remind me that this is an area of felting which fascinates me and that I have long wanted to write another tutorial on it. I do however wonder if we are sometimes too focused on making seamless garments. It seems to me that a well-fitting garment often relies on seams to make it fit perfectly but it is an irresistible challenge for me to do the same without seams. Wet Felting! Needle Felting! Hat on a Ball! You are very welcome. I think the lesson learned is that you can always shrink something down, especially if you use a tumble dryer to assist with the process but it nearly impossible to stretch wool once shrunk. I am delighted that you reported back on your efforts. Thank you so much. It is much appreciated. Hi Sally, thank you very much! I did as you said, the stretching didn't really work but by tearing after the warm water, I think I won a centimeter. Now I made a beautiful case for my tablet, but, it shrunk too much! It is now 1 cm too short. What can I do to fix this, if anything? 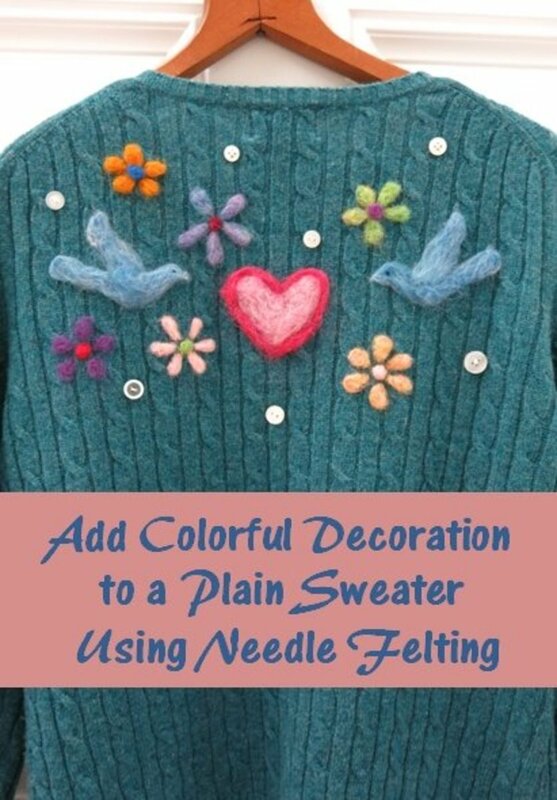 Bonnie, you could try needle felting with a needle felting tool or just use a felting needle to poke roving into the areas which you want more color. You could then try wet felting it with more hot soapy water and friction. Take a look at my Valentine's Heart Cushion tutorial to see the possibilities. If you are like me failure is just not an option, there is usually a solution to most problems. Hi Sally.. My recent and first felting project needs an adjustment. The project is flat and well felted but I am not happy with the colour of the middle section. 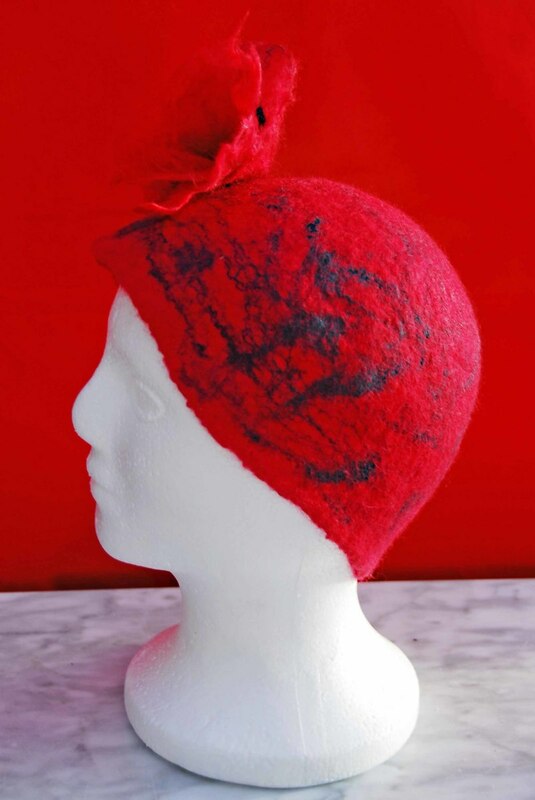 Is it possible to add a new layer of unfelted wool on top and felt the new layer on felted wool? Thanks for your willingness to help. You are very welcome, anytime. Thank you so much for your advice.They did become smaller but not to the desired shape. I put them to dry for the night and will see how they are in the morning, will let you know. Once again thank you for your advice and support! Try the wall trick, you can hit them in the areas where they need shrinking, more soap and hot and cold water will do the trick. Don't give up yet! I am sure it can be done. If all else fails, wet and soap again, put them into the microwave for about 20 seconds to heat the wool up, cool and hit them again or ask a friend to pop them in her tumble dryer. You can also wet and soap them again and put them on your own feet to shink them. This is probably the safest method. I have never had a problem with something not shrinking enough and I know you can do it but don't be too gentle with them.
. I emerged them in hot water and then in cold and they shrunk a little in length but not in width. Such a pity!!! 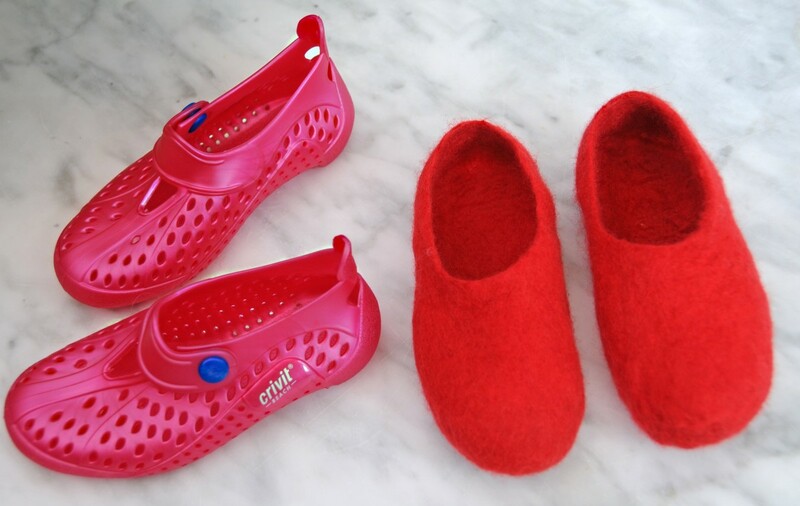 I don't shrink my items in a washing machine unless they are 'knitted' slippers. If yours are knitted using synthetic fibers rather than wool, they will not shrink. I do however use a tumble dryer regularly for wet felting. It can be hot or cold as it is the tumbling effect which felts the slippers rather than the heat. I would wet and soap the slippers and put them into a tumble dryer if you have one available to you. I don't have any doubt that they will shrink further but if you don't have one you will have to take a different approach. Put them under very hot and then cold water until you feel them shrink under your fingers then you can take them outside and hit them hard against a wall until they shrink further. I know this sounds drastic but it works. Once shrunk you can shape them on your own feet or on a pair of shoe lasts. Let me know how you get on. I have made a pair of slippers but they are huge... I tumbled them in my washing machine but they wouldn't become smaller. What to do and how can I make them my size if possible? Hi Sarah, yes you can and it sometimes help to add a few new fluffy fibers to the surface of the, existing project, wet them, cover with bubble wrap, rub or alternatively roll in a bamboo mat, something like a small sushi mat or a bamboo blind will do or roll in bubble wrap, secure with an elastic band and toss in the tumble dryer. I hope that helps. Once I finished felting (I'm not making anything fancy, just a simple flat piece) and I find out after its dried it's not full felted and is a bit fluffy, can I re wet it and carry on matting the fibres together? Although not much of a knitter myself, I have felted knitted wool in the washing machine. 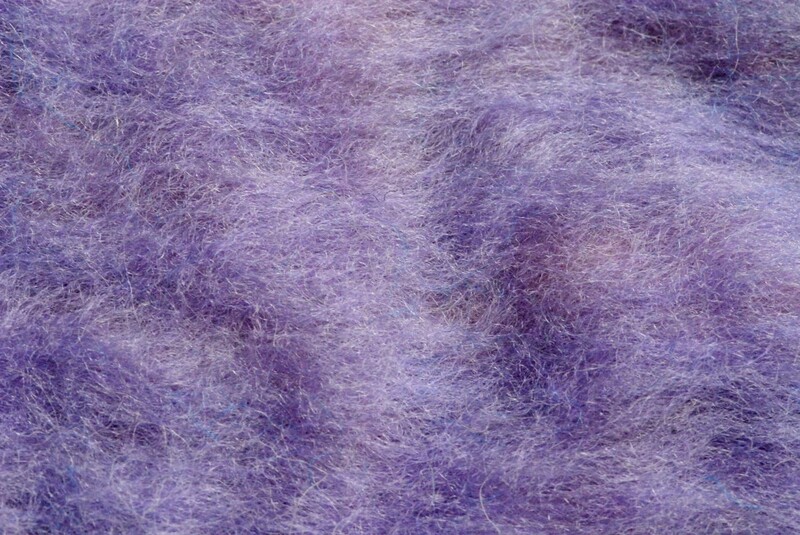 However, this wool I used was designed specifically for felting in the washing machine and it did work well. I have read that some dyes do affect the yarn's ability to felt; even within the same brand of wool yarn. If all else fails I can only suggest that you wet the project well and place it in the microwave for about thirty seconds. Be careful here as you don't want to burn the wool but you do want to make it very hot. I would then place the hot item into the tumble dryer for about five minutes or until it is felted.. The tumble dryer is a very efficient felted, more so perhaps than the washing machine. Keep a careful check on the hen though as you don't want any portions of it to weld together which should not. In fact, it might be best to keep the item stuffed with plastic bags before you microwave it and place it into the tumble dryer. I would be interested to know if this works. You are very welcome RTalloni - I am pleased you were able to stop by. Felting is very forgiving. Most of the problems are the result of laying down uneven layers of wool. Try to ensure that your pinch test produces a good result- it is so important at this stage to ensure that the fibers have knitted together. If not, keep on rubbing until they do. I appreciate your visit and your comments, thank you very much. 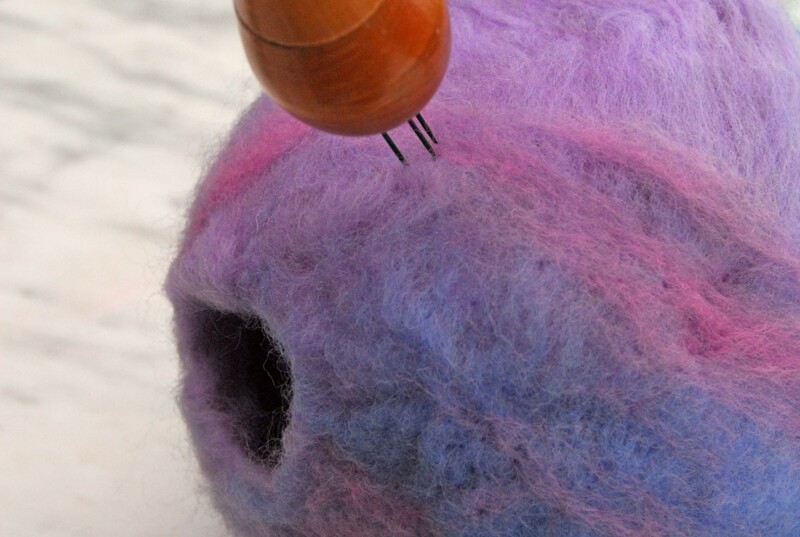 Thanks for this look at felting fixes. 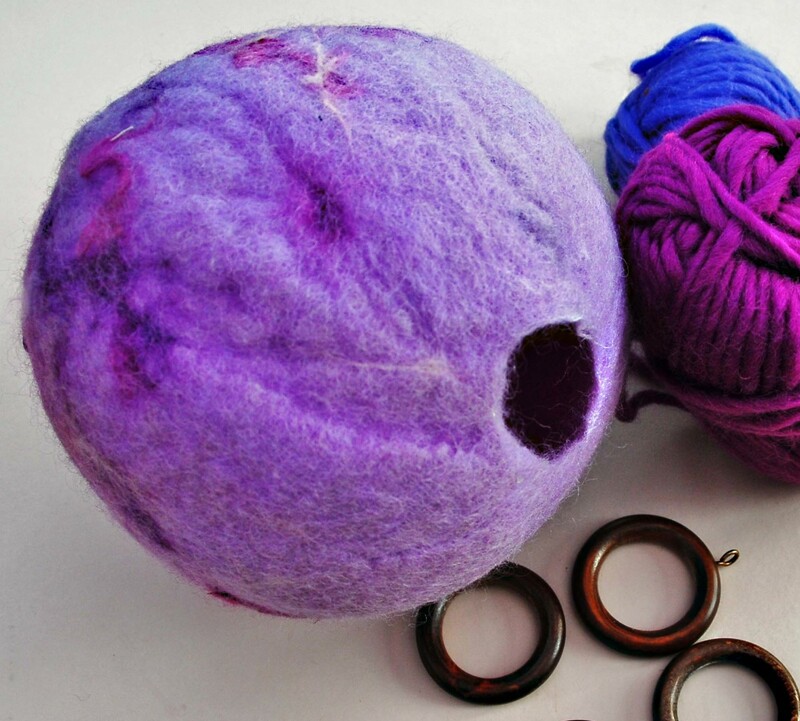 I've not yet attempted it, but felting is on my to do list. Being aware of possible issues and knowing how to deal with them encourages me to move this craft closer to the top of my list--thanks! 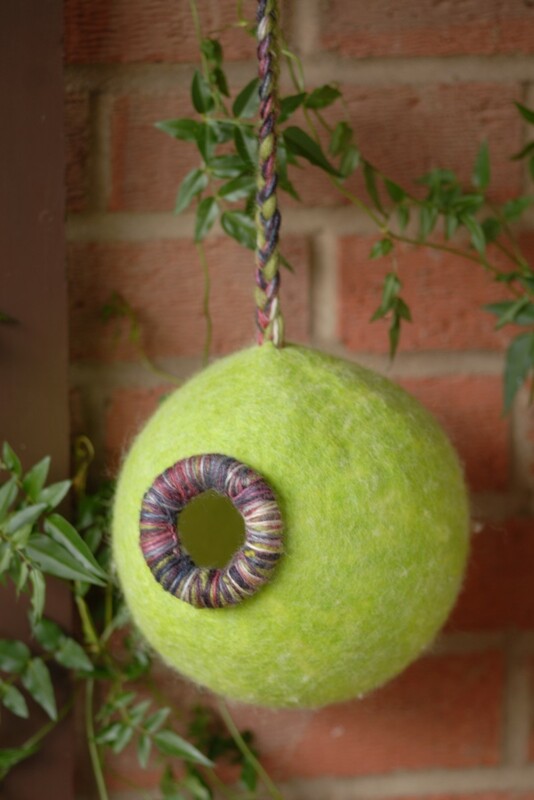 It really is very simple DDE - I love felting and I love photography so it is great for me to be able to combine the two in a Hub. Incredible work and you have shared such lovely photos in explanation the actual Hub, lots of work but you make it sound so simple. Think your typo had me there for a minute Eiddwen! So pleased that you enjoyed the Hub and will save it for a rainy day! Thanks too for the follow. It is much appreciated. This gem I shall have to shave for a rainy day. Thanks MsDora, thank you so much, I appreciate the visit and also the vote. This would seem impossible to me if it were not for your instructions and pictures. Expertly done. voted Up! Hi Careermommy, Delighted to have you visit my pages again. I look forward to hearing how you get on with your first felting project. Thanks for your comments, they are as always much appreciated. 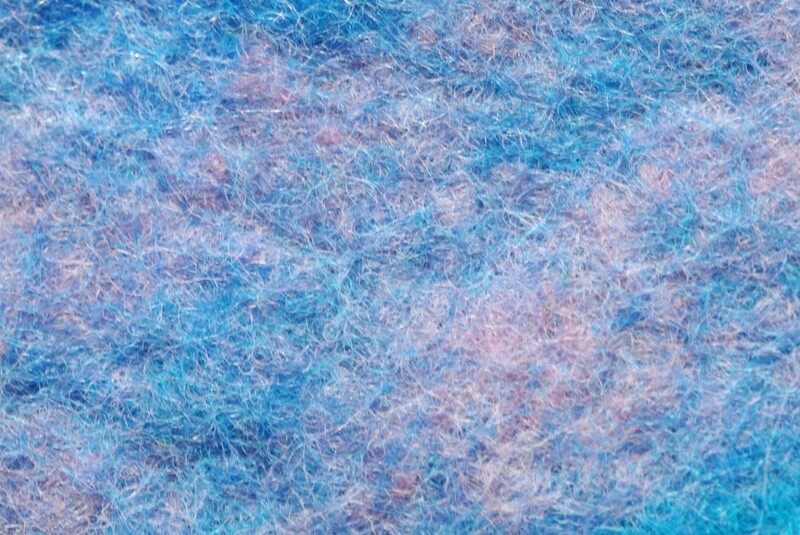 sallybea, this is full of great felting info. I haven't begun felting yet, but when I start I will defer to all of your valuable hubs. Thank you for sharing this info. Hi Vicki, I never like throwing things away. I can't stand to think of those poor sheep growing all that wool on their backs just so that I can bin a failed project. I am all for a bit of re-cycling or re-working. Thanks for the lovely comments, always so nice of you to stop by. Hi Sally, lovely descriptions and photos. This will give hope to the clumsiest felt projects! Nice to know the mistakes can be rectified. Thank you so much Chris Achilleos, I really appreciate your comments. It is always so nice to get such great feedback. Thanks too for the sharing and for voting up. What a fantastic hub Sally, well presented and the directions are straightforward. The bird pod is absolutely awesome. Well done. Shared and Voted up! You surprise me ImKarn2342 - whatever were you thinking! Thank you for your comments, they are appreciated as always. We all learn from our mistakes and I can promise you, felting gets easier as you learn exactly how your felt should look and feel. I think it is good to share our successes and our failures. Great hub for when your project doesn't work out quite as you hoped :) You're brave to share your experience but an excellent hub! Pinning now!! also, you must have the patience of Job! Thank you so much Mike, this one has been in the pipeline for quite a while! One never likes to admit to not getting it right all the time but sometimes we learn from our mistakes and I wanted to share this with everyone. Thank you so much for your comments, for the voting and sharing. It is very much appreciated. WOW what a hub. Amazing amount of work in this and the photos are stunning. Great directions and instructions for using a material that can be difficult to work with. Love the bird pod it looks fantastic. I would have copped out having never worked with felt and made something out of steel or wood but it would never look as good as this. Great job. Voted up and shared.